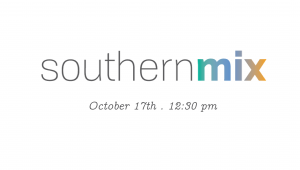 Tell About the South is a lunchtime series put on by the Center for the Study of the American South that features presentations from faculty, senior graduate students, and community members that focus on southern scholarship and specialized knowledge of regional topics. On October 17 at 12:30 pm this conversation will be provided by Southern Mix founder Anna-Rhesa Versola and undergraduate researcher Emmanuel Lee as they discuss their research and interviews collected over the summer with members of the Hmong and Filipino communities in Hickory, NC. Southern Mix was inspired by Asian American UNC alumni, and focuses on collecting oral histories from Asian and Asian American residents of the Triangle, of North Carolina, and of the larger region of the South. For this project, the SOHP is collaborating with the Carolina Asia Center and the Alumni Committee for Racial and Ethnic Diversity to gather these personal biographies. This project will include a wide range of stories of escape, immigration, and cultural assimilation. This event will take place at the Love House and Hutchins Forum where SOHP and CSAS are housed (410 E. Franklin Street, Chapel Hill, NC) and is free and open to the public. Light refreshments will be served. RSVPs to csas@unc.edu will be appreciated but are not required. Our Center is located along free Chapel Hill Transit bus routes A, CL, D, F, NU, and U.